This episode is the twenty-first of the series where Ariane reads the first chapter of “The Way We Came” by Harry Palmer. Ariane attended the Avatar® course in 2001 for the first time. She teaches the course in the USA and Europe since 2007. This episode is the twenty-third of the series where Ariane reads the first chapter of “The Way We Came” by Harry Palmer. Ariane attended the Avatar® course in 2001 for the first time. She teaches the course in the USA and Europe since 2007. This episode is the twenty-second of the series where Ariane reads the first chapter of “The Way We Came” by Harry Palmer. Ariane attended the Avatar® course in 2001 for the first time. She teaches the course in the USA and Europe since 2007. This episode is the twentienth of the series where Ariane reads the first chapter of “The Way We Came” by Harry Palmer. Ariane attended the Avatar® course in 2001 for the first time. She teaches the course in the USA and Europe since 2007. This episode is the ninteenth of the series where Ariane reads the first chapter of “The Way We Came” by Harry Palmer. Ariane attended the Avatar® course in 2001 for the first time. She teaches the course in the USA and Europe since 2007. This episode is the eighteenth of the series where Ariane reads the first chapter of “The Way We Came” by Harry Palmer. Ariane attended the Avatar® course in 2001 for the first time. She teaches the course in the USA and Europe since 2007. This episode is the seventeenth of the series where Ariane reads the first chapter of “The Way We Came” by Harry Palmer. Ariane attended the Avatar® course in 2001 for the first time. She teaches the course in the USA and Europe since 2007. This episode is the sixteenth of the series where Ariane reads the first chapter of “The Way We Came” by Harry Palmer. Ariane attended the Avatar® course in 2001 for the first time. She teaches the course in the USA and Europe since 2007. This episode is the fifteenth of the series where Ariane reads the first chapter of “The Way We Came” by Harry Palmer. Ariane attended the Avatar® course in 2001 for the first time. She teaches the course in the USA and Europe since 2007. This episode is the fourteenth of the series where Ariane reads the first chapter of “The Way We Came” by Harry Palmer. Ariane attended the Avatar® course in 2001 for the first time. She teaches the course in the USA and Europe since 2007. This episode is the thirteenth of the series where Ariane reads the first chapter of “The Way We Came” by Harry Palmer. Ariane attended the Avatar® course in 2001 for the first time. She teaches the course in the USA and Europe since 2007. This episode is the twelveth of the series where Ariane reads the first chapter of “The Way We Came” by Harry Palmer. Ariane attended the Avatar® course in 2001 for the first time. She teaches the course in the USA and Europe since 2007. This episode is the eleventh of the series where Ariane reads the first chapter of “The Way We Came” by Harry Palmer. Ariane attended the Avatar® course in 2001 for the first time. She teaches the course in the USA and Europe since 2007. This episode is the tenth of the series where Ariane reads the first chapter of “The Way We Came” by Harry Palmer. Ariane attended the Avatar® course in 2001 for the first time. She teaches the course in the USA and Europe since 2007. This episode is the ninth of the series where Ariane reads the first chapter of “The Way We Came” by Harry Palmer. Ariane attended the Avatar® course in 2001 for the first time. She teaches the course in the USA and Europe since 2007. This episode is the eighth of the series where Ariane reads the first chapter of “The Way We Came” by Harry Palmer. 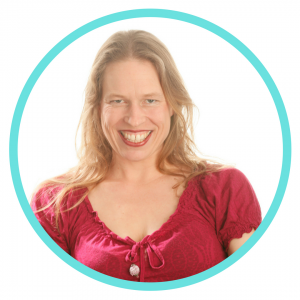 Ariane attended the Avatar® course in 2001 for the first time. She teaches the course in the USA and Europe since 2007. This episode is the seventh of the series where Ariane reads the first chapter of “The Way We Came” by Harry Palmer. Ariane attended the Avatar® course in 2001 for the first time. She teaches the course in the USA and Europe since 2007. This episode is the sixth of the series where Ariane reads the first chapter of “The Way We Came” by Harry Palmer. Ariane attended the Avatar® course in 2001 for the first time. She teaches the course in the USA and Europe since 2007. This episode is the fifth of the series where Ariane reads the first chapter of “The Way We Came” by Harry Palmer. Ariane attended the Avatar® course in 2001 for the first time. She teaches the course in the USA and Europe since 2007. This episode is the fourth of the series where Ariane reads the first chapter of “The Way We Came” by Harry Palmer. Ariane attended the Avatar® course in 2001 for the first time. She teaches the course in the USA and Europe since 2007. This episode is the third of the series where Ariane reads the first chapter of “The Way We Came” by Harry Palmer. Ariane attended the Avatar® course in 2001 for the first time. She teaches the course in the USA and Europe since 2007. This episode is the second of the series where Ariane reads the first chapter of “The Way We Came” by Harry Palmer. Ariane attended the Avatar® course in 2001 for the first time. She teaches the course in the USA and Europe since 2007. This episode is the first of the series where Ariane reads the first chapter of “The Way We Came” by Harry Palmer. Ariane attended the Avatar® course in 2001 for the first time. She teaches the course in the USA and Europe since 2007. Do you live your life deliberately or by default? 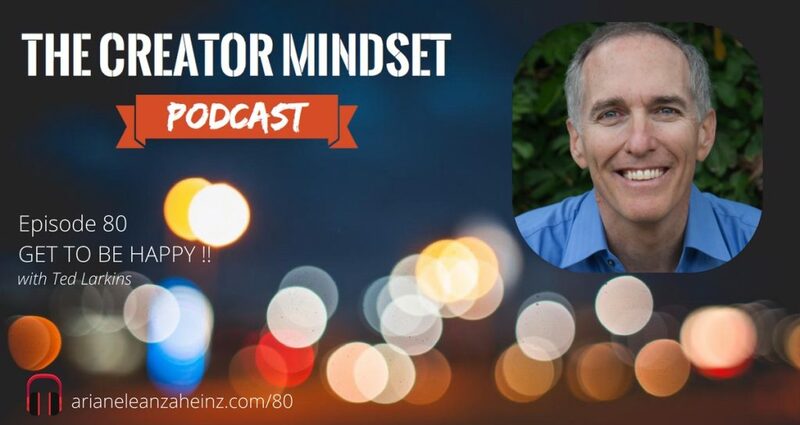 Are you deciding from within or because it is the way people do things? Cathy realised when she did the Avatar® course that she had been operating on ideas of how things should be. In today’s episode, Cathy shares how doing the course reshuffled her life and how she started making decisions that were really leading to the life she wanted to live. 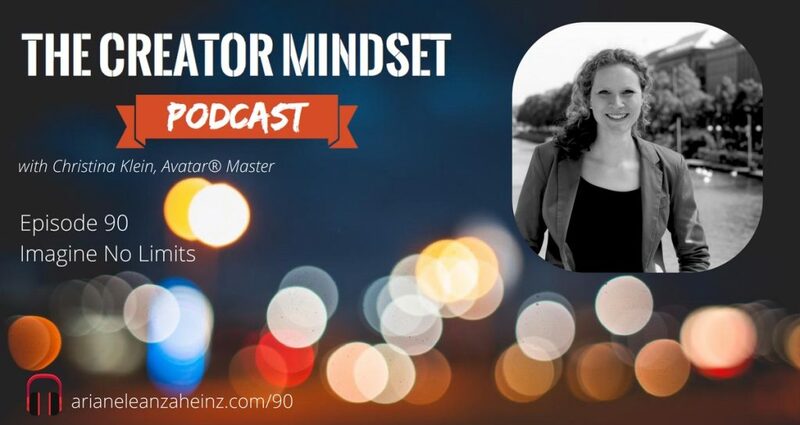 On this episode of The Creator Mindset Podcast, Ariane interviews Christina Klein. Christina shares about her journey, how she found out about the course and how it changed her life. 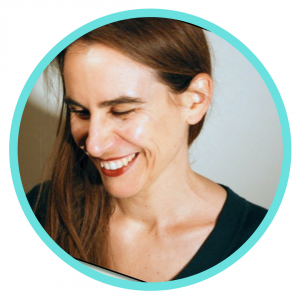 She also tells us about the biggest change that the Avatar® course brought to her life. 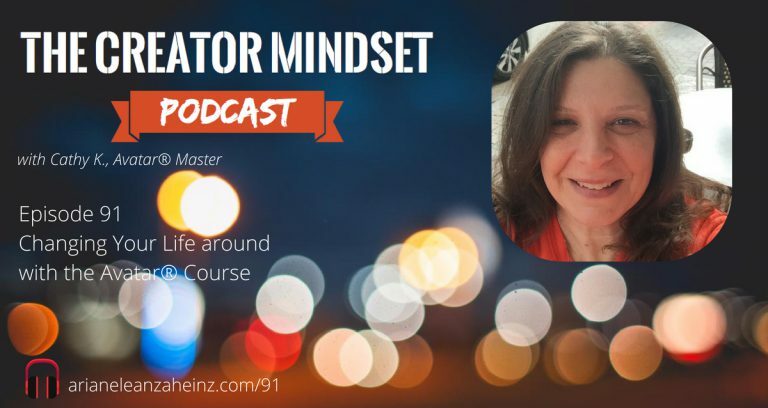 In this episode, Karen Noelle shared how the Avatar® Course changed her life. 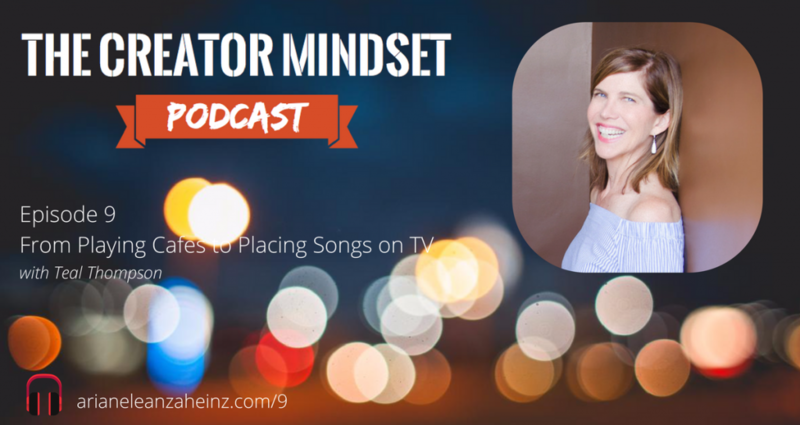 Ariane and Karen dive deep on the reasons why Karen was convinced to take the Avatar Course. 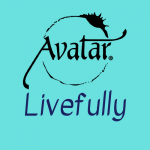 She was in a middle of a major life decision, when she heard about Avatar® . Karen is based in Florida teaching Avatar and you can get intouch with her for an upcoming Avatar® Course on the 19th of May in New Jersey. Ariane sat down with Ted. In this interview they discuss the best things about attending Avatar. They also dig deep on the “I Get To” attitude. Listen in as they unravel the great things that happened to them after attending the Avatar course. Ariane sat down with Joann. In this interview they discuss the best things about attending Avatar. They also dig deep on the saying nowadays that for creatives and artists to make it they have to hustle. Listen in as they unravel the great things that happened to them after attending the Avatar course. This episode is an interview with Ariane’s friend from Avatar course. Ariane attended the Avatar® course in 2001. She teaches the course in the USA and Europe since 2007. This year, Ariane attended a nine-day self-empowerment training delivered by a worldwide network of licensed Avatar Masters. 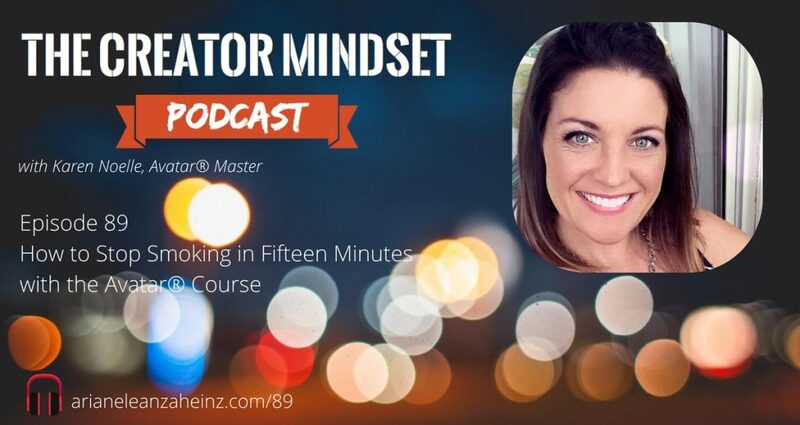 Listen in as we learn more about the Avatar course and the great things that comes with it. This episode is the seventeenth of the series where Ariane reads the book “Private Lessons” by Harry Palmer. Ariane attended the Avatar® course in 2001. She teaches the course in the USA and Europe since 2007. “Private Lessons” is a collection of golden nuggets of wisdom which explain some of the advanced Avatar® courses concepts. Listen in as we reflect on the first part of the book. This episode is the sixteenth of the series where Ariane reads the book “Private Lessons” by Harry Palmer. Ariane attended the Avatar® course in 2001. She teaches the course in the USA and Europe since 2007. “Private Lessons” is a collection of golden nuggets of wisdom which explain some of the advanced Avatar® courses concepts. Listen in as we reflect on the first part of the book. This episode is the fifteenth of the series where Ariane reads the book “Private Lessons” by Harry Palmer. Ariane attended the Avatar® course in 2001. She teaches the course in the USA and Europe since 2007. “Private Lessons” is a collection of golden nuggets of wisdom which explain some of the advanced Avatar® courses concepts. Listen in as we reflect on this part of the book. This episode is the fourteenth of the series where Ariane reads the book “Private Lessons” by Harry Palmer. Ariane attended the Avatar® course in 2001. She teaches the course in the USA and Europe since 2007. “Private Lessons” is a collection of golden nuggets of wisdom which explain some of the advanced Avatar® courses concepts. Listen in as we reflect on the first part of the book. This episode is the thirteenth of the series where Ariane reads the book “Private Lessons” by Harry Palmer. Ariane attended the Avatar® course in 2001. She teaches the course in the USA and Europe since 2007. “Private Lessons” is a collection of golden nuggets of wisdom which explain some of the advanced Avatar® courses concepts. Listen in as we reflect on the first part of the book. This episode is the twelveth of the series where Ariane reads the book “Private Lessons” by Harry Palmer. Ariane attended the Avatar® course in 2001. She teaches the course in the USA and Europe since 2007. “Private Lessons” is a collection of golden nuggets of wisdom which explain some of the advanced Avatar® courses concepts. Listen in as we reflect on this part of the book. This episode is the eleventh of the series where Ariane reads the book “Private Lessons” by Harry Palmer. Ariane attended the Avatar® course in 2001. She teaches the course in the USA and Europe since 2007. “Private Lessons” is a collection of golden nuggets of wisdom which explain some of the advanced Avatar® courses concepts. Listen in as we reflect on the first part of the book. This episode is the tenth of the series where Ariane reads the book “Private Lessons” by Harry Palmer. Ariane attended the Avatar® course in 2001. She teaches the course in the USA and Europe since 2007. 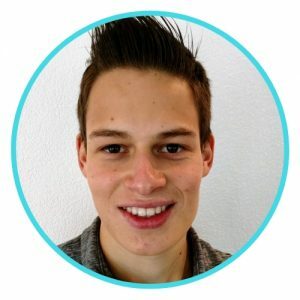 “Private Lessons” is a collection of golden nuggets of wisdom which explain some of the advanced Avatar® courses concepts. Listen in as we reflect on the first part of the book. This episode is the ninth of the series where Ariane reads the book “Private Lessons” by Harry Palmer. Ariane attended the Avatar® course in 2001. She teaches the course in the USA and Europe since 2007. “Private Lessons” is a collection of golden nuggets of wisdom which explain some of the advanced Avatar® courses concepts. Listen in as we reflect on this part of the book. This episode is the eighth of the series where Ariane reads the book “Private Lessons” by Harry Palmer. Ariane attended the Avatar® course in 2001. She teaches the course in the USA and Europe since 2007. “Private Lessons” is a collection of golden nuggets of wisdom which explain some of the advanced Avatar® courses concepts. Listen in as we reflect on the first part of the book. This episode is the seventh of the series where Ariane reads the book “Private Lessons” by Harry Palmer. Ariane attended the Avatar® course in 2001. She teaches the course in the USA and Europe since 2007. “Private Lessons” is a collection of golden nuggets of wisdom which explain some of the advanced Avatar® courses concepts. Listen in as we reflect on the first part of the book. This episode is the sixth of the series where Ariane reads the book “Private Lessons” by Harry Palmer. Ariane attended the Avatar® course in 2001. She teaches the course in the USA and Europe since 2007. “Private Lessons” is a collection of golden nuggets of wisdom which explain some of the advanced Avatar® courses concepts. Listen in as we reflect on this part of the book. This episode is the fifth of the series where Ariane reads the book “Private Lessons” by Harry Palmer. Ariane attended the Avatar® course in 2001. She teaches the course in the USA and Europe since 2007. “Private Lessons” is a collection of golden nuggets of wisdom which explain some of the advanced Avatar® courses concepts. Listen in as we reflect on this part of the book. This episode is the fourth of the series where Ariane reads the book “Private Lessons” by Harry Palmer. Ariane attended the Avatar® course in 2001. She teaches the course in the USA and Europe since 2007. “Private Lessons” is a collection of golden nuggets of wisdom which explain some of the advanced Avatar® courses concepts. Listen in as we reflect on this part of the book. This episode is the third of the series where Ariane reads the book “Private Lessons” by Harry Palmer. Ariane attended the Avatar® course in 2001. She teaches the course in the USA and Europe since 2007. “Private Lessons” is a collection of golden nuggets of wisdom which explain some of the advanced Avatar® courses concepts. Listen in as we reflect on the third part of the book. 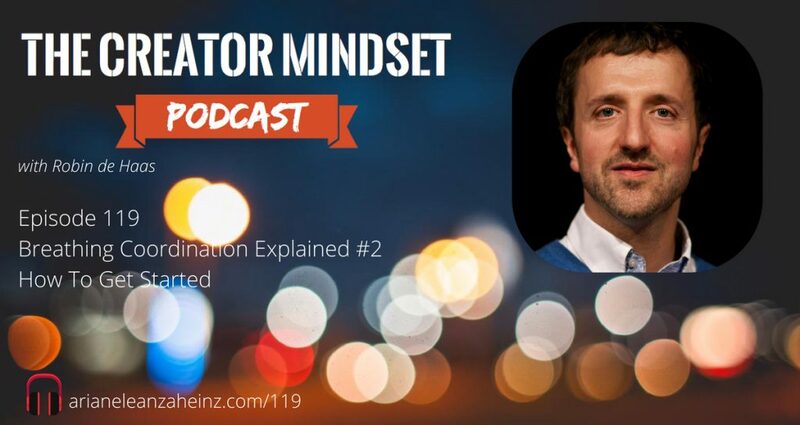 This episode of the Creator Mindset Podcast is the second of the 7 episodes series with Robin de Haas. This episode of the Creator Mindset Podcast is the first of the 7 episodes series with Robin de Haas. This episode of the Creator Mindset Podcast is the third of the 7 episodes series with Robin de Haas. This episode is the second of the series where Ariane reads the book “Private Lessons” by Harry Palmer. Ariane attended the Avatar® course in 2001. She teaches the course in the USA and Europe since 2007. “Private Lessons” is a collection of golden nuggets of wisdom which explain some of the advanced Avatar® courses concepts. Listen in as we reflect on the first part of the book. This episode is the first of the series where Ariane reads the book “Private Lessons” by Harry Palmer. Ariane attended the Avatar® course in 2001. She teaches the course in the USA and Europe since 2007. “Private Lessons” is a collection of golden nuggets of wisdom which explain some of the advanced Avatar® courses concepts. Listen in as we reflect on the first part of the book. 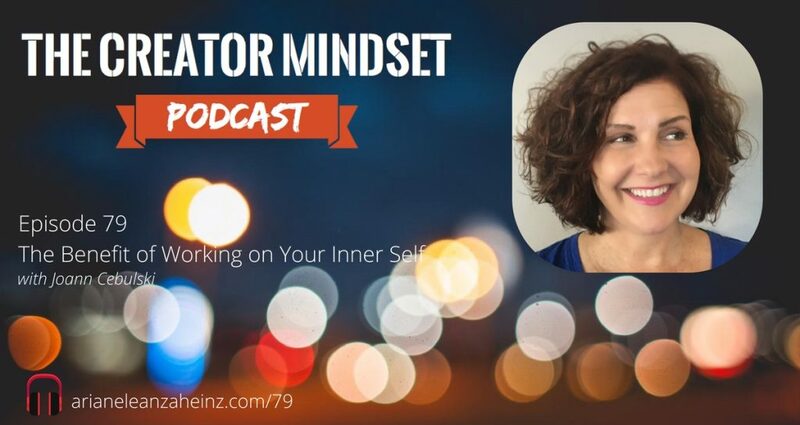 On this episode Teal shares the impact that the Avatar course had on her life and career. Changing not just her external environment but causing change within. We all have those boulders along the way that prevent us from realising our dreams. It could be just a thought or belief that we feed ourselves with. For instance, as artists we think we must be at all these places at all the right times, I mean, common! Or we think our age stands in the way of our achievement and creativity. But you’ll see If you can as much as change one thought, you are able to turn our lives around. Avatar is for me the liberation of old, outdated and inhibiting patterns. Life becomes rich, fulfilled, peaceful and self-determined. I recommend the Avatar courses to anyone who is willing to take their lives into their own hands and experience significant changes in a short time. I enjoyed our conversation completely. Do you know the best? Your lovely voice and your time has released immediately a lot of tension in my body after our talk. I never experienced something like that so profoundly after only one call. That is so incredibly amazing and shows me the effect of exchanges with powerful people like you can have for my mind and my health. Thank you for your soul being. I send you tons of appreciation and love! All senses are implied, it is an awakening of consciousness. One thing that really impressed me was the fact that Ariane asked me to make a list of my goals and dreams for the next few months. I found this list six months later and realized that all were on their way to being accomplished!! All content © 2019, Star’s Edge, Inc.
and Star’s Edge International® are registered trademarks of Star’s Edge, Inc.